Whether it’s hosting a cottage party with friends and family or interacting with our valued clients, Diane’s warm and hospitable personality shines. 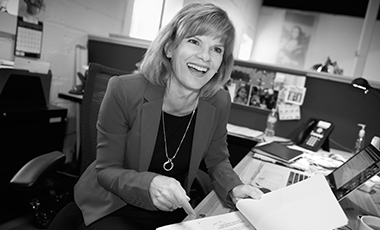 Since joining Shikatani Lacroix Design in 2006, Diane has provided strong senior leadership to our team, ensuring we provide the highest level of account service, project management and strategic insights. Under her direction, responsiveness to clients has become one of the pillars of our company’s success. She started her career as a graphic designer before she discovered her intuitive knack for predicting clients’ needs and expectations. Diane uses her disciplined approach to consistently meet project deliverables. Working directly with the design and strategy teams, she ensures brand vision and project scope are aligned and on schedule. Diane is a process driven professional with a strong eye for detail, and she leads our department of seasoned account management professionals.